At the beginning of this year our new fundraiser, Petra, challenged staff to each undertake a fundraising activity. Already we’ve seen a Pharmacist Support themed cake bake, Grand National sweepstake, World Cup competition and a silent auction. The silent auctions have become so popular that they are now a regular feature of our monthly team meetings, with produce from people’s allotments always securing a high bid! 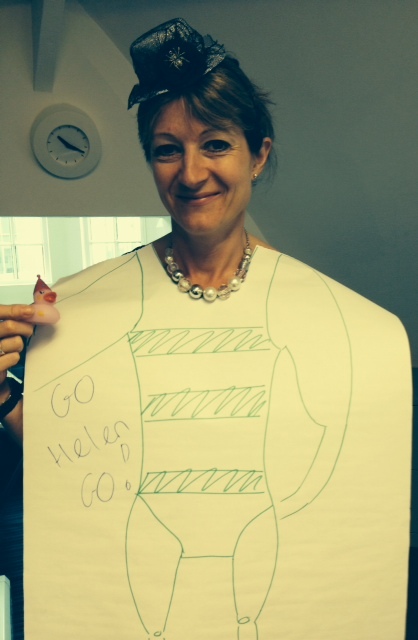 Our wellbeing project administrator, Helen, loves a challenge and on 19th July she will be diving into the murky depths of Salford Quays to take part in the Great Manchester Swim. Working in wellbeing she understands the benefits of exercise and appreciates that setting a target and having a challenge is a great way to stay motivated. After a tiring day at work it can be easy to put off going to the pool or the gym but knowing you are training for a big event encourages you to get your kit on and go. After the first ten minutes or so the endorphins start to kick in leaving you feeling refreshed and revitalised and glad you made the effort. Helen is known for her sense of adventure and her previous charity endeavours include scaling the heights of Kilimanjaro and sky diving out of a plane!